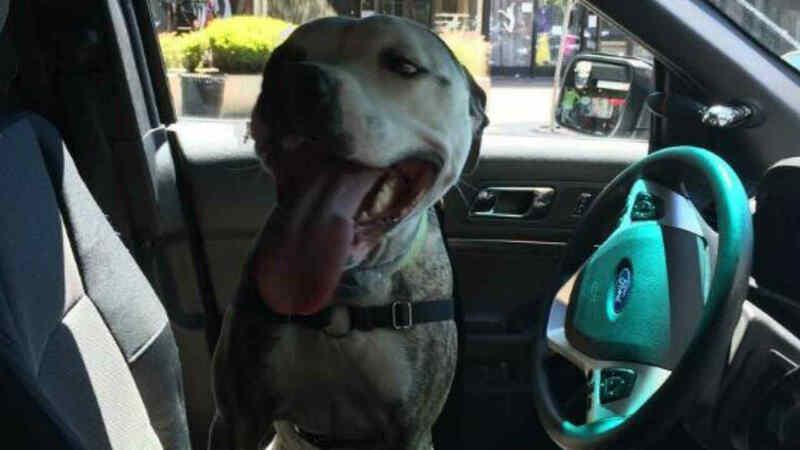 SAN RAFAEL, Calif. (KGO) -- Police in San Rafael rescued a dog from a very hot car Tuesday. The interior temperature of the car "Dexter" was rescued from had reached 156 degrees. It was 88 degrees outside the car. The officers helped cool the dog off in a patrol car before heading to a local emergency room. No details on the dog's owner were immediately available.